Dubai Golf continues its surge towards a sustainable future with the announcement that its championship Faldo Course at Emirates Golf Club is now the first in the region to use energy-efficient LED light technology and it’s great news for local night golfers with the much-loved course now more lit up than ever before. Etihad Energy Service Company (Etihad ESCO), a wholly-owned subsidiary of DEWA, partnered with Abacus Lighting to fully retrofit Emirates Golf Club’s 18-hole Faldo Course to replace its existing metal halide solution with LED lighting. 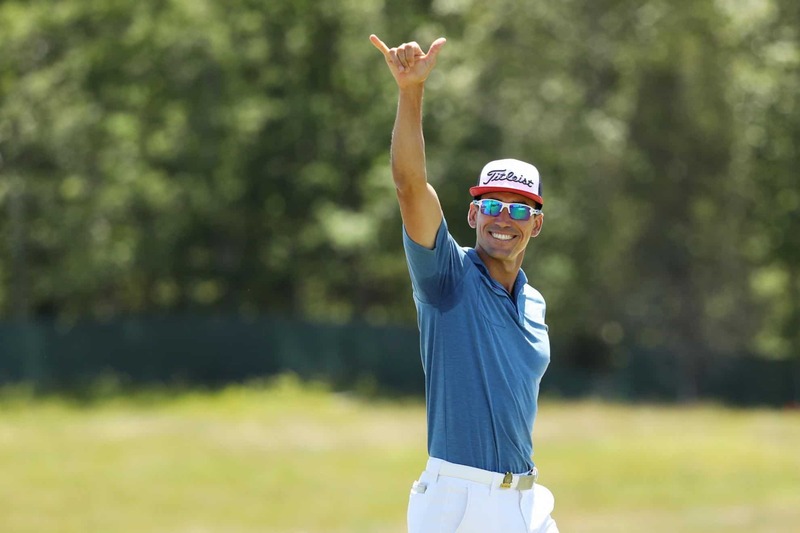 The new sustainable lighting system improves the overall quality of light across the golf course, while enhancing energy savings by 60 percent and reducing CO2 emissions. Barney Coleman, Club Manager at Emirates Golf Club said: “We’re pleased to announce that we are promoting sustainable lighting here on all 18 holes of the Faldo Course, on the driving range and on the Par 3 Course. 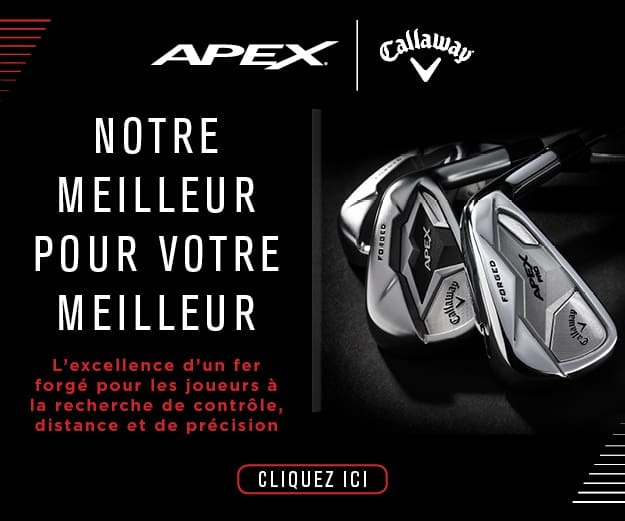 This investment will promote a better playing experience. “The Faldo Course first added floodlights in 2010 and it’s extremely popular during the summer months and on weekdays as it’s open until midnight so is a great facility if you want to evade the heat and play at night after work. 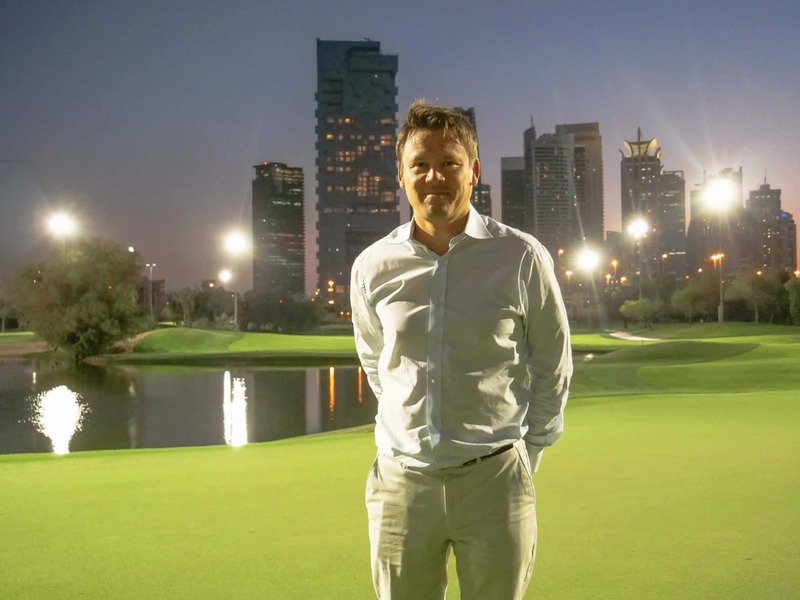 Barney Coleman (pictured) believes the new LED lights will take the Faldo experience to a whole new level at Emirates Golf Club. The venture stemmed from over 12 months of design followed by a three-month period of installation across the Faldo Course, the Par 3 Course and the practice facilities in order to achieve the optimum energy efficient solution and installation without inhibiting players from teeing off. Ali Al Jassim, CEO of Etihad ESCO, said: “Luxury leisure and recreation venues in Dubai could be high energy consuming and moving towards an environmentally-friendly approach, providing such facilities in Dubai, is testament to the increasing awareness towards energy sustainability in the UAE. 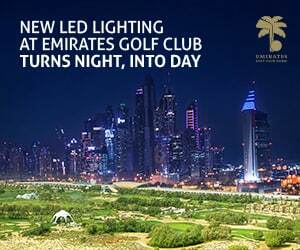 Emirates Golf Club’s improved lighting will allow for a more enjoyable experience and improved playing conditions. The new facility will be showcased at the Ladies European Tour event running from May 1-3, ‘The Moonlight Classic’.